Women's Body Hug Jacket Just $18.99! Down From $104! Shipped! 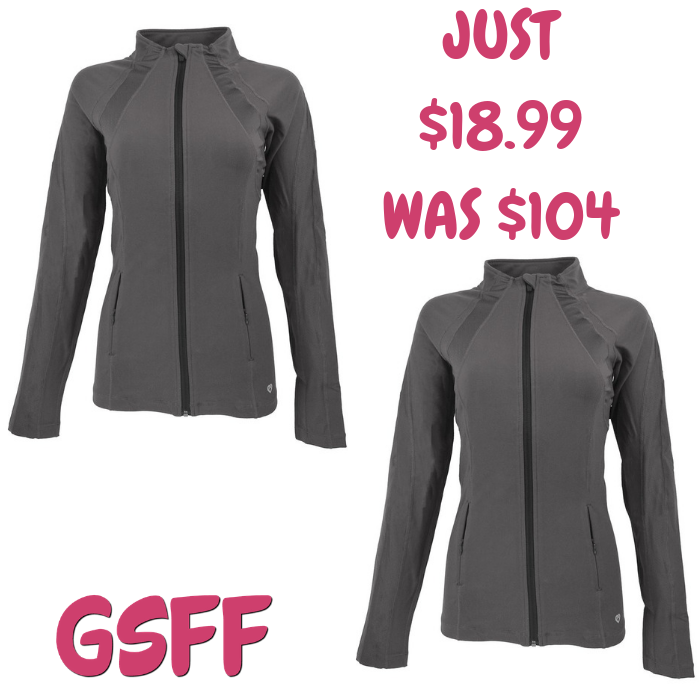 You are here: Home / Great Deals / Women’s Body Hug Jacket Just $18.99! Down From $104! Shipped! Women’s Body Hug Jacket Just $18.99! Down From $104! Shipped! Proozy has this Women’s Body Hug Jacket on sale for just $18.99 down from $104 PLUS FREE shipping! Perfect fitted performance jacket. Look good as you are working out. This flattering jacket is made with our trademarked body hug fabric which is manufactured for a slimming look. You will stay dry, comfortable and confident when you wear this jacket. Pair with your favorite leggings or jeans.